The Stuck in Customs store has a wide variety of fun and educational products for sale. You will find all of Trey’s photography tutorials, an expanding collection of eBooks, and his personal favorites from his private collection of Lightroom & Photomatix presets. Trey also partnered with Macphun to develop his own HDR Software. In addition to the products in the store, we have several popular photography apps for your mobile phone or desktop. Or you may be interested in buying a print or licensing an image. We’ve got it all covered here. 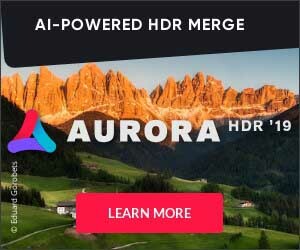 Aurora HDR 2018 combines everything Trey knows about High Dynamic Range photography, and takes it light years further. Additionally, Trey has created thousands of different presets for Adobe Lightroom and Aurora HDR. The presets will save you countless hours and give your photos a unique look. 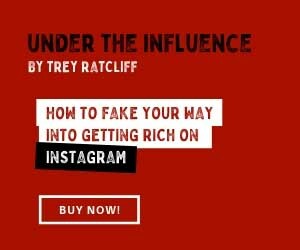 Trey’s photography tutorials showcase his unique teaching style combined with amazing videography. He will guide you slowly through the basics or you can jump straight to see his advanced techniques. The video tutorials include in the field instruction and detailed, step-by-step, post-processing worklflow. You’re invited to join us for a once-in-a-lifetime photo adventure of epic proportions! You’ll end up with great photos and stories, no matter your skill level. At the end of the adventure, your head will be full of awesome new skills and your computer will be full of beautiful photos. Our limited prints will look beautiful in your home. Because of their limited nature, they will become more valuable in time. Visit the Prints page for more details. We have the philosophy that art is meant to be seen and not hoarded. Our licensing policies are designed to balance the costs that go into creating and sharing our images with the desire to provide inspiration through our images around the world. Visit our Licensing page for more details.